In an ageing population, geriatric medicine has become central to general practice, and to emergency and general internal medicine in the hospital setting. Diseases are more common in the older person, and can be particularly difficult to assess and to treat effectively in a field that has limited evidence, yet makes up a substantial proportion of the work of most clinicians. 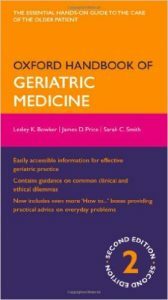 Fully updated, this second edition of the Oxford Handbook of Geriatric Medicineincludes all the information required to deliver effective geriatric care. Guidance is given on a range of key treatment areas, indicating where practice differs from that of younger adults or is ill informed by evidence, where dangers lurk for the inexperienced clinician, and on the many ethical and clinical dilemmas common in geriatric practice. 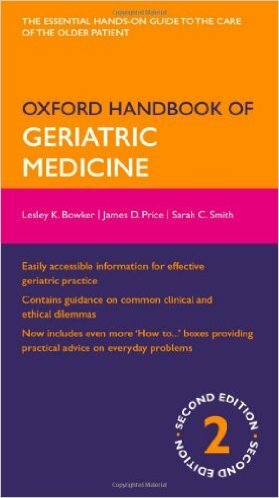 This accessible handbook is essential reading for all junior doctors and specialist trainees in geriatric medicine and general internal medicine, and for all medical and nursing staff who manage older people.